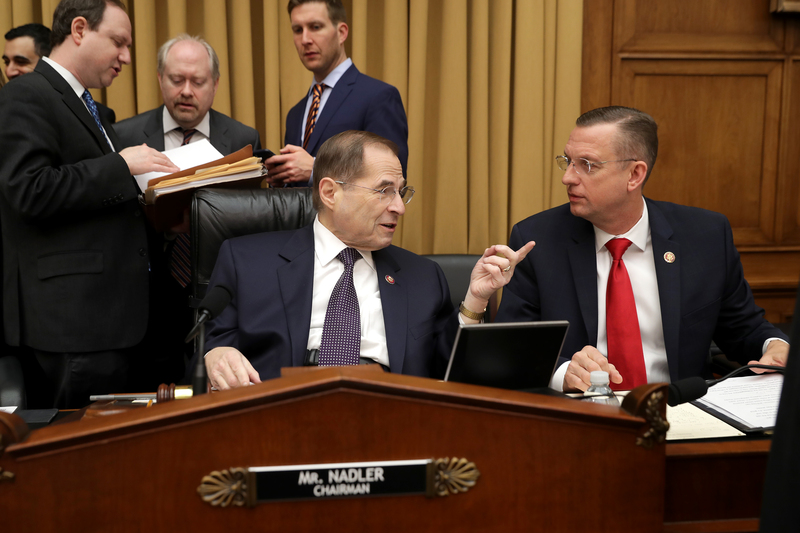 House Judiciary Committee chairman Jerry Nadler said he believes that President Donald Trump is guilty of obstruction of justice, though he stopped just short of calling for his impeachment. Speaking Sunday on ABC’s “This Week,” Nadler also revealed that the committee will transmit a deluge of document requests to over 60 different individuals and entities on Monday. Those summons will serve as the basis for future investigations of the president. Nadler went on to say that he would not open impeachment proceedings at this juncture. The chairman said the threshold for impeachment is quite high, and should not be attempted unless a significant majority of the American public supports such a drastic measure. House Democratic leadership continuously flirts with the possibility of impeachment. Nadler himself has repeatedly said that the president’s conduct rises to the level of impeachment, while cautioning that further probes are necessary before a final decision is made. That formula is generally followed by other Democratic leaders. “I think Congressman Nadler decided to impeach the president the day the president won the election,” McCarthy said. Judiciary Committee Democrats will continue building their possible impeachment case Monday, when dozens of demands for documents will be issued to administration officials and the president’s business interests. “We will be issuing document requests to over 60 different people from the White House to the Department of Justice,” Nadler said. He also named the president’s son, Donald Trump Jr., and Allen Weisselberg, an executive at the Trump organization, as prospective targets.